This case study features our client LED One Distribution, a leading provider of green lighting products and solutions for commercial and residential use. LED One was previously using Wix for their website needs. The website was mobile-responsive, but the design was dated and all the product pages were PDFs which is not SEO (and user) friendly. 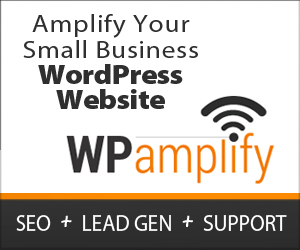 They came to WPamplify to modernize their website with WordPress while, at our recommendation, also converting all PDFs into actual product webpages to maximize usability, increase hits and boost leads. After the website redesign was finished, we transitioned into an SEO and blogging program to further build results and momentum. The new website, combined with SEO and blogging, is generating more organic hits, more leads, and better website engagement metrics like time on website and page views. Also, their SEMrush keyword rankings have spiked to a new high of 505 keywords — the previous high was 279 keywords, a growth of 81%. LED One Distribution wanted a more modern website that would also help them get more hits and leads. We redesigned their website into WordPress, converted all their product PDFs into webpages and started them up on an SEO/blogging program. Results have been very positive including a 81% growth in rankings.